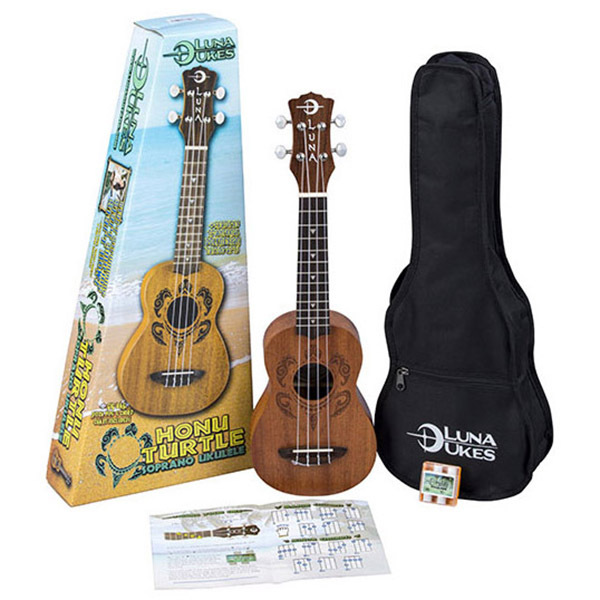 The Luna Guitars Honu Turtle Spruce Soprano Ukulele boasts decorations inspired from traditional Hawaiian body tattoos. Hawaiian tattoo patterns and layout were strongly geometric with many shapes and symbols representing the natural island world: stones, waves, fish, sharks, turtles, rain, sun, birds. This design is based on a Hawaiian turtle (honu), a symbol of longevity and endurance rendered in a Polynesian tattoo style. The fret markers are stylized shark's teeth. Includes gig bag. 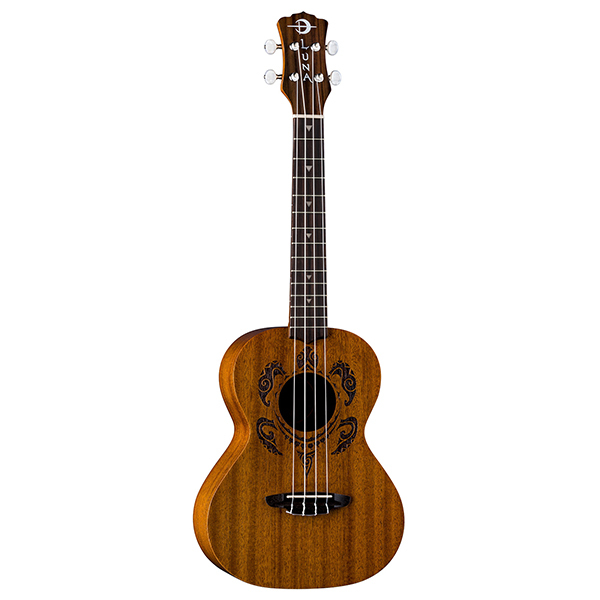 This spruce top uke offers incredibly high quality at an exceptional price. Among our most popular models.